The Iranian man who made news headlines around the world for facing the death penalty on charges of apostasy against Islam has been acquitted and released. According to confirmed reports, Youcef Nadarkhani appeared before an Iranian court on Saturday, where the apostasy charges were officially dropped. However, he was found guilty of trying to convert Muslims and was sentenced to three years in prison. Because he had already served the time on apostasy charges, he was set free. “Thank you to everyone that has supported me with your prayers,” he is quoted as saying upon release. Nadarkhani was first arrested in October 2009 for protesting against the Iranian government’s new policy to require all children to study the Koran. He was charged with apostasy and for attempted conversion of Muslims, and was incarcerated while proceedings went forward. In 2011, the Iranian Supreme Court informed Nadarkhani that they would drop the charges if he converted to Islam. He refused, and remained imprisoned. Reports circulated that he had been sentenced to death, which the Iranian government denied. A number of international groups have been fighting for Nadarkhani’s release, including the American Center for Law and Justice (ACLJ), led by attorney Jay Sekulow. “Today marks a day of celebration. After languishing in prison for almost three years, under the threat of execution for his faith, Pastor Youcef Nadarkhani has been released from prison and acquitted of his apostasy charge,” the ACLJ announced this morning. However, while desiring the best for Nadarkhani, others have expressed concerns over his documented beliefs, namely his denial of the Godhead, a doctrine known as nontrinitarianism or antitrinitarianism. “We do not believe in the Trinity based on our faith because the Bible talks of one God,” Nadarkhani told Mohabat News. Jay Sekulow’s American Center for Law and Justice and other organizations have not cited that Nadarkani is a nontrinitarian. Nadarkani states that he received his ordination to become a priest from an organization in Canada. “Since this degree has been received for me by one of my friends, I do not know exactly who issued it, but I know that the entity that issued it is a leader of Protestantism,” he said. 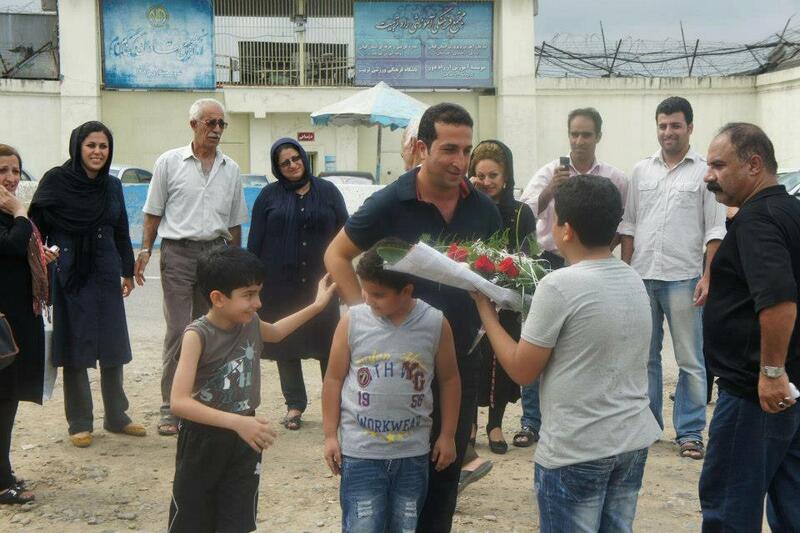 Nadarkhani’s release comes nearly three years after his arrest in October 2009. He has now been reunited with his family in Rasht.